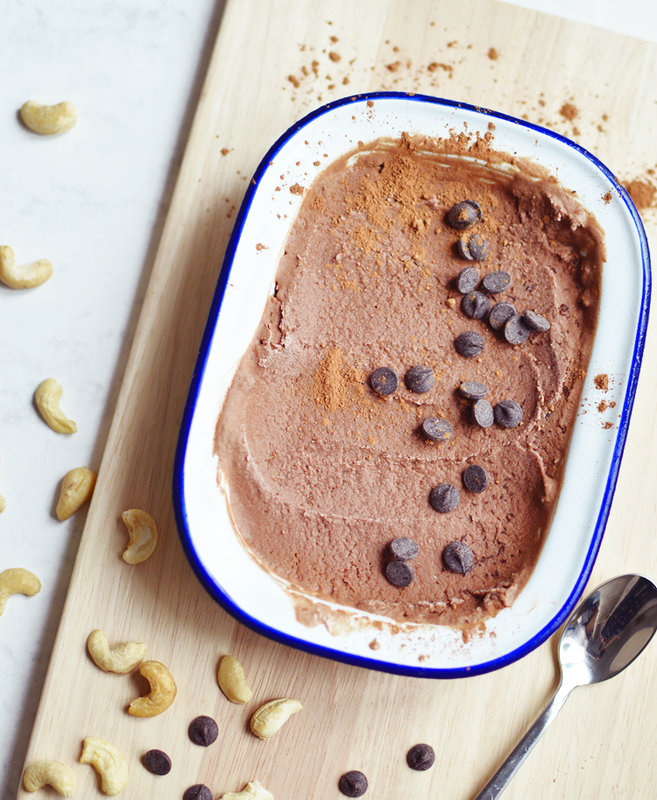 Dreamy Creamy Cashew Milk Ice Cream. Have you tried Booja Booja ice cream? It's heaven in a tub, actual divine deliciousness on your tastebuds, but, it's £6 a tub. Six freaking quid and it's never on offer, I should know because I check all the time, and now we've moved 20 miles away from a Waitrose it's probably a thing of the past... no, I'm not weeping, YOU are. 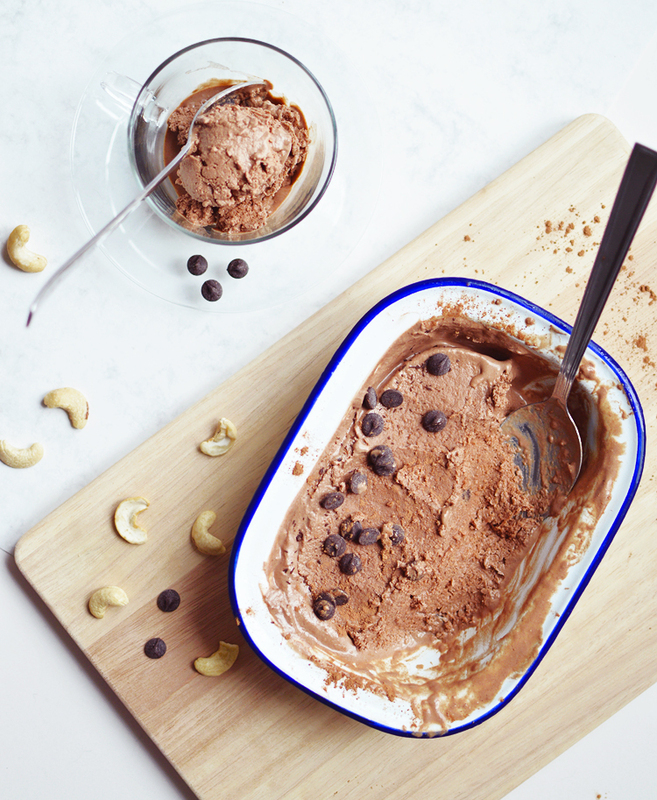 So anyway, the ingredients list of Booja Booja chocolate ice cream is pretty simple; water, cashews, agave nectar and cacao powder. Easy to replicate, right? So off I went to buy some agave nectar to make my own. I don't own an ice cream maker (yet, it's definitely on the list now) but if you do, yay for you because tastebud heaven is right around the corner. If not, prepare yourself for many treks to the freezer to stir, but I promise, it's worth it, because GUYS, guys, guys! this. is. it. Soak your cashews in water for a minimum of 3 hours and a maximum of 6 hours (so that they don't go slimy). Then drain and pour your softened cashew nuts into a blender with 1 cup of water and blend for 2-3 minutes until you have a smooth milk. Then add the ice, cacao and agave nectar and blend again, taste and adjust the sweetness or chocolate taste to your liking before pouring into your ice cream maker or a suitable bowl for the freezer! Then it's just a case of following your ice cream makers' instructions or stirring up your ice cream in the freezer every 20 minutes or so until almost completely frozen to break up the ice crystals, the texture without an ice cream maker won't be quite as smooth as Booja Booja, but the taste is there. 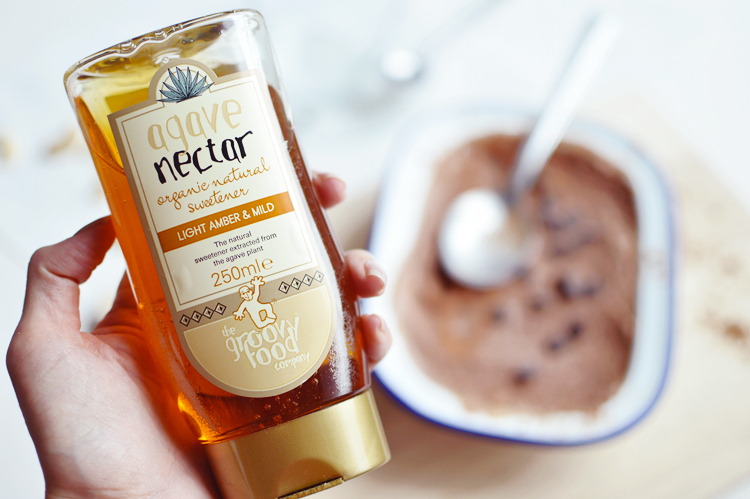 That agave nectar is the secret ingredient and the taste is spot on when compared to BB, so make sure you have it.